Inner Mongolia Baotou Museum is a national second-level museum. It was established in December 1998. It is a comprehensive museum based in Baotou and houses cultural relics from the western part of Inner Mongolia. 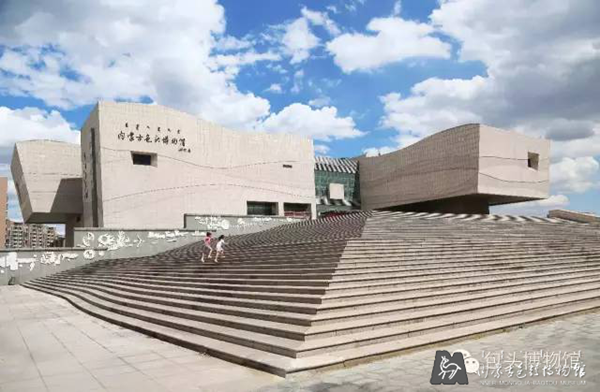 In 2000, the main exhibition of Baotou Museum was awarded for being one of the “Top Ten Exhibitions of Inner Mongolia autonomous region” by the region’s Culture Department. In 2005, a new building covering an area of 3.5 hectares and a building area of 24,000 square meters was opened to the public. There are eight exhibition halls, six of which are permanent exhibition halls –– Baotou Historical Relics Exhibition, Inner Mongolia Ancient Rock Painting Exhibition, Tibetan Buddhism Thangka Art Exhibition, and Baotou Ancient Stone Carving Cultural Relics Exhibition. On May 15, 2008, the museum became one of the first museums in the region to scrap admission fees. In recent years, it has been constantly expanding opportunities for inter-library exchange and cooperation, as well as trying to get the museum's fine collections into museums abroad to showcase regional culture. Also, the museum has been introducing collections from museums around the autonomous region to attract a larger audience.